SKU: P106. Category: All Jewellery, Jewellery Stone Type, Pendants, Pendants Stone Type, Rose Quartz, Rose Quartz Pendants, Symbolic Pendants. 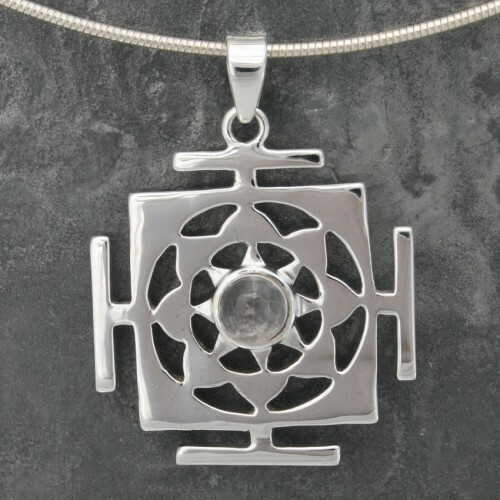 The Yantra is a symbolic representation of aspects of divinity. It is an interlocking matrix of geometric figures, circles, triangles and floral patterns that form fractal patterns of elegance and beauty. Yantras function as revelatory symbols of cosmic truths; furthermore, they are said to represent a map of both the universe and an individual’s mind or consciousness. Practitioners often use a yantra and a mantra representing the same aspect of the Divine together. 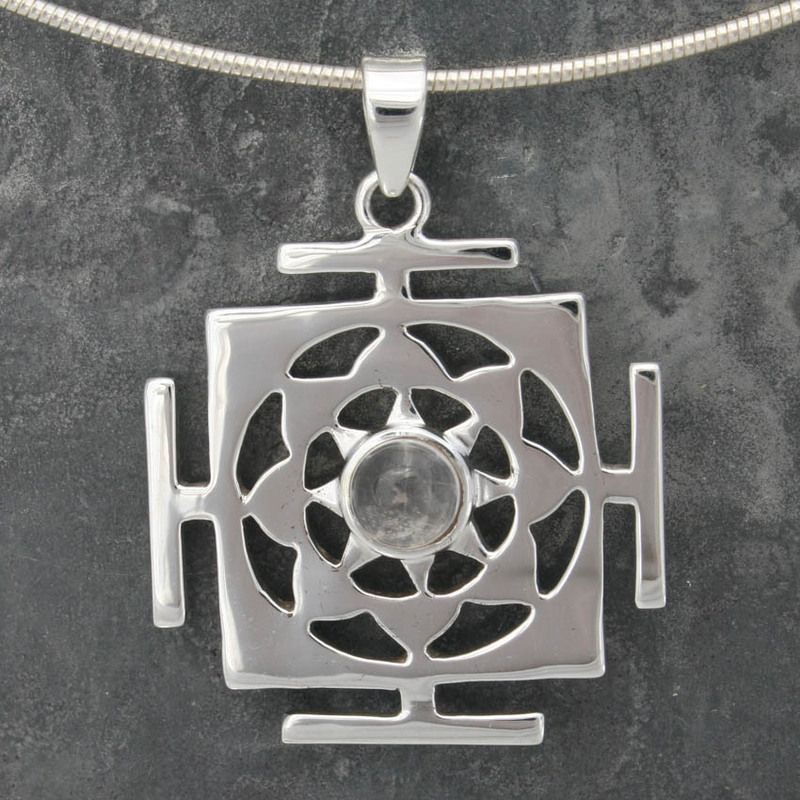 Attract success, abundance, good health and mental attainment into your life by wearing this powerful ancient symbol.